That would make perfect sense, as Bexar County, Texas, has as its county seat the city of San Antonio, home of The Alamo. But Maras doesn’t want the region to be just known for its prominent place in history. She wants her staff to think of it as a true center of innovation in digital government, and aiding in the process is the county’s use of IT automation. The key word here is “transparency.” Citizen access and government transparency are among the core IT missions of the Bexar County Information Technology (BCIT) group, which provides IT and communication technology for all county elected officials and departments. Like everything else in Texas, Bexar County is big – some 1,300 square miles, and home to more than 1.5 million residents. But if any IT leader is up to the task of overseeing such a large piece of tech real estate it is no doubt Maras. In her previous job, she served as CIO at Cook County, Ill., the second largest county in the country, with over 5 million residents and 129 municipalities, including the City of Chicago. IT automation: what is it, exactly? In fairness, not all IT leaders are avid supporters of IT automation, which is the linking of disparate systems and software in ways that they become self-acting or self-regulating. IT automation is a large category, and can cover anything from the simple automatic routing of forms or PDF files to intended recipients, to something more complex such as the automated provisioning of backup and recovery systems. But an IT automation system is not to be confused with an intelligent system. They can make errors, and they’re not insightful enough to know when they do. Still, as its name implies, IT automation can save an organization – or county government – countless dollars or significant resources by simplifying workflow processes and procedures, especially when systems and users can be far removed from each other. That was the experience of Maras and the IT team at Cook County, Ill. when it implemented the first Information Technology Strategic Plan. That plan identified opportunities within the county’s 90 departments to enhance processes and advance service levels through the use of automation, integration, standardization, and the development of enterprise applications. Critical to the success of these tasks is IT automation, Maras says. 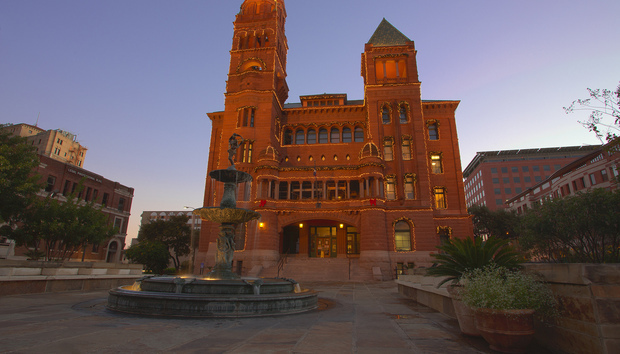 “These workflows have saved Bexar County millions annually in processing costs, and new users do not have to be retrained, because the software has been implemented to allow for each transaction to flow through all county departments in a standardized fashion,” Maras says. Maras does issue one word of caution. Though IT automation is a technology initiative, it should be a business –not technology – strategy. Also sold on the value of IT automation is Angela Yochem, global chief information officer at BDP International in Philadelphia. “In late 2014, BDP deployed a robust DevOps capability in which we automate build, test and deployment for the custom applications we deliver for international BDP users as well as for external clients,” Yochem explains. “The automation angle is key to rapid delivery, and it lends a high level of quality and predictability to our development process and products,” Yochem says. Interestingly, Yochem describes IT automation as an IT-driven strategy, the opposite of the view expressed by Maras. “This is an IT-driven strategy, with the desired outcome being to deliver differentiating, high quality products to our clients. We are fortune at BDP in that our broader business community understands the value of business and IT automation, and have been supportive as we’ve adopted DevOps practices as part of our broader Agile methodology for product delivery,” Yochem concludes. Another area in which organizations are using IT automation is with data analytics and business intelligence. Several recent studies have revealed that the largest share of new IT spending in 2016 is expected to go toward data analytics. But as has also been widely reported, there is a shortage of skilled data scientists and data analysts to work on data initiatives and make sense of all the data piling up. This is fueling increased interest in IT automation tied to data management. As more and more data becomes available for analysis, the challenge now is how to hold back the flood gates and distribute data in a way that’s easy to understand for improved performance, Rosenberg explains. “Automation helps organizations improve data insight with intelligent analytics and reporting designed to easily identify, monitor, and manage workflows and systems for faster, more reliable workload performance – therefore, allowing them to adapt to agile environments,” Rosenberg says. The firm’sActiveBatch is their IT Automation solution that helps with these issues.